What exactly is ‘dried marihuana’? In April of 2012, B.C. 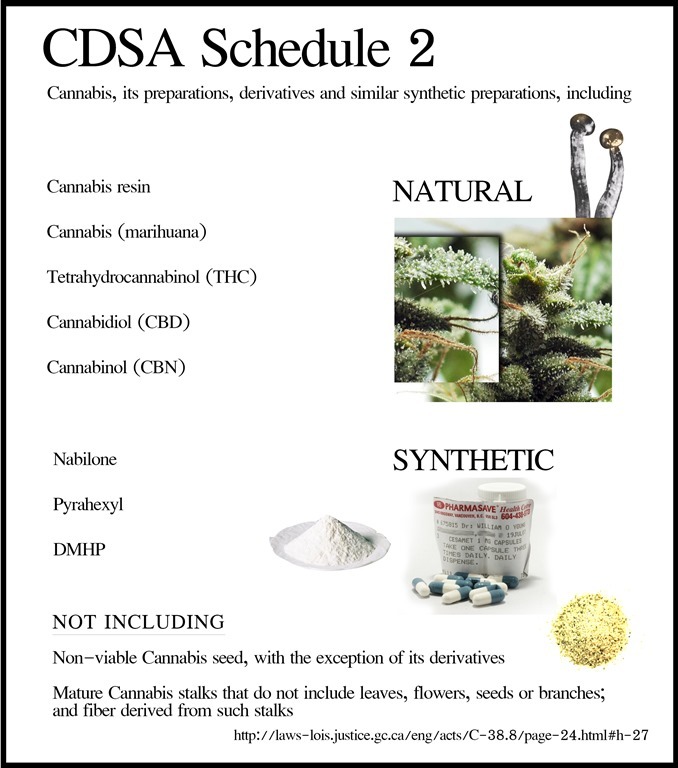 Supreme Court Justice Robert Johnston struck the term “dried marihuana” from the Medical Marihuana Access Regulations, refining the language to refer to all products listed as Cannabis in schedule 2 of the CDSA (figure 1). The government appealed the decision, but the Judge granted licensed patients in B.C. immediate access to legally diluted products like cannabis butter or concentrated ones like honey oil. There are many reasons that a refined cannabis product may benefit a medicinal user: the duration of effects, the targeting of the application and the available cannabinoid content to name a few. However there are no good reasons to restrict patients to “dried marihuana” alone. After 1 year passed without any action, In April of 2013 designated growers in B.C. were also permitted to extract the medicinal ingredients. At the appeal in December of 2013, Health Canada could not refute the botanical facts presented by the expert witness during the trial. Lifetime cannabis scientist Dr. David Pate informed the court that the cannabis plant produces cannabinoids externally, in resin glands suspended at the end of brittle stems. This natural separation liberates the medicinal compounds from the bulk of plant fibre which may play host to a number of contaminants from heavy metals and fertilizer to harmful moulds and bacteria. The passage is confusing because of the arbitrariness of the term “dried marihuana”. The regulations maintain that the medicinal ingredients, that are precariously suspended like sticky golf balls on the end of brittle tees, must stay with the rest of the plant. 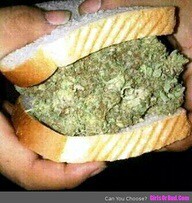 So you can eat your cannabis, so long as you eat it all. Not only is this like trying to eat a sugar donut without making a mess, but you have to eat the donut box too. The extraction of active ingredients is not only simple, but to suggest that patients consume a lot of unnecessary non-medicinal ingredients poses potential risks to their already compromised health. With commercial producers now entering the medical cannabis industry, there is hope that they will alter the trend in policy reform from court battles to lobbying efforts. Previous attempts by patients, dispensaries and dispensary associations like C.A.M.C.D. to negotiate for changes have been unsuccessful. So far, Canadians have gained access to ‘dried marihuana’ not by the persuasion of industry, but by a series of legal orders. Through over a decade of court cases, patients and caregivers have been chiselling away improvements into the medicinal cannabis laws, outlining some of the key features of a working program. It would be to the benefit of both patients, caregivers, dispensaries and licensed producers to work together to avoid these long painstaking legal processes. 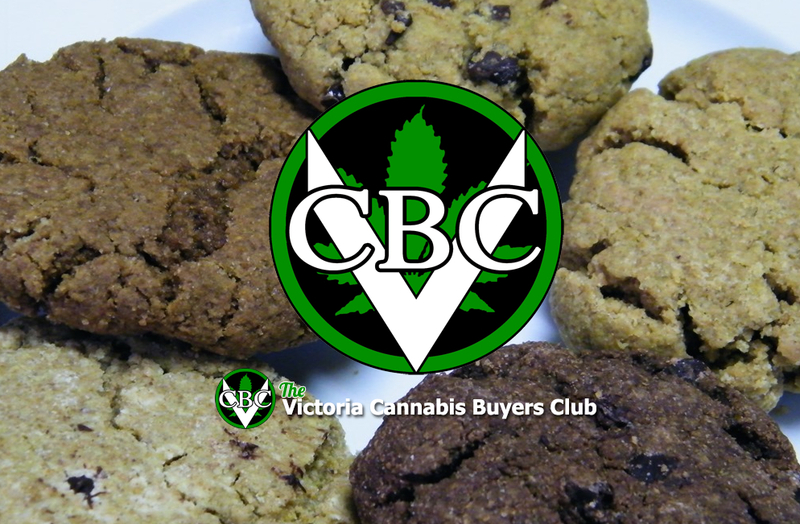 Four and a half years after I was arrested for making edible products for the members of the Victoria Cannabis Buyers club, the B.C. Court of Appeal agreed that this restriction is arbitrary. 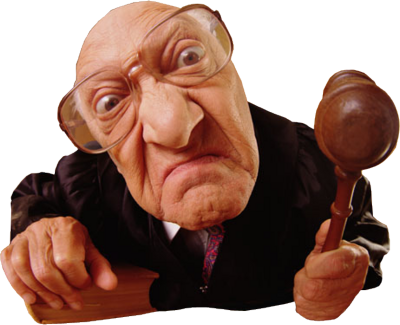 Consequently the Canadian government has appealed to the Supreme Court of Canada, who will see the case sometime next year. Tax payer’s money wasted again. In the meantime, the loose knit support network of mostly independent cannabis dispensaries continues to be the only reasonable option for many patients seeking alternatives to ‘dried marihuana’.